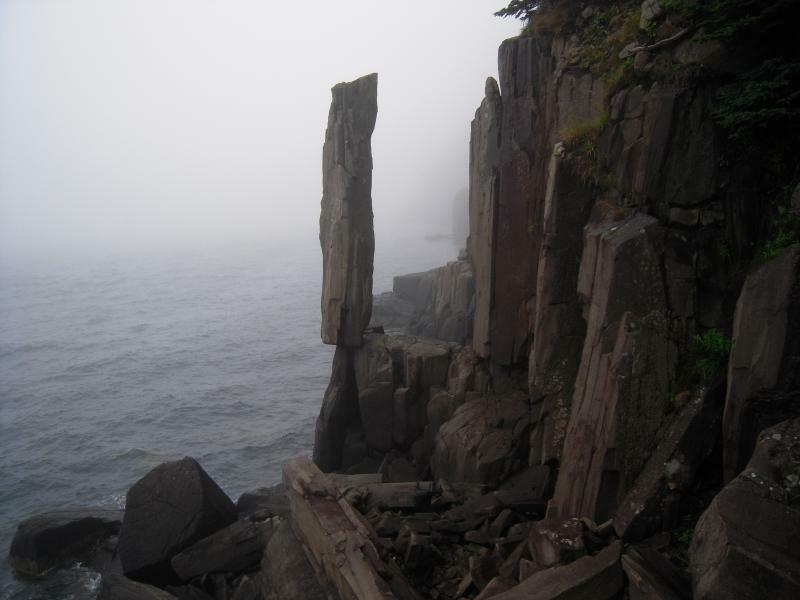 In fact, it just seems that they are stuck between the rocks, or standing on a thin vein of rock. 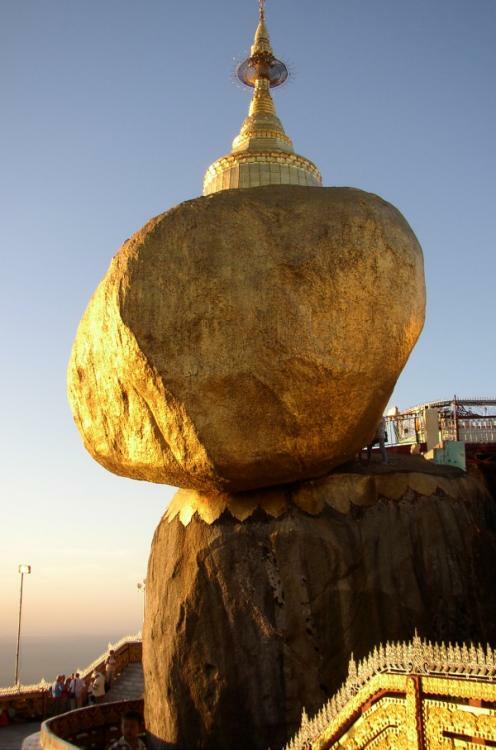 In reality, all these stones are connected by a kind of pivot, connecting them with the more massive parts. The first case - «Arches National Park» in the U.S. state of Utah. 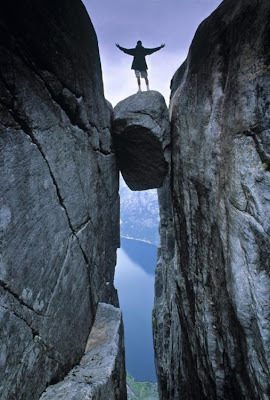 Overall height - 39 meters. 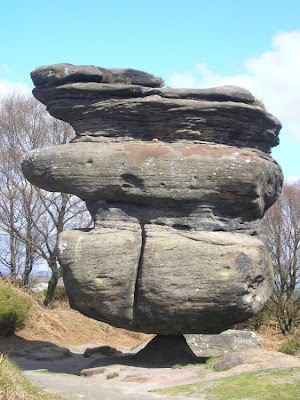 The balancing part - almost 17 meters. 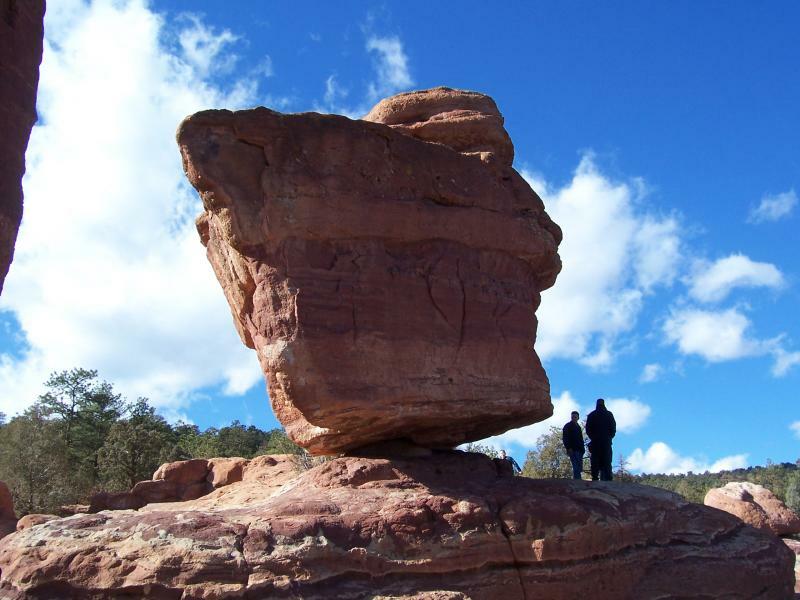 In the "Garden of the Gods" (a public park in Colorado) also has its own balancing rock. 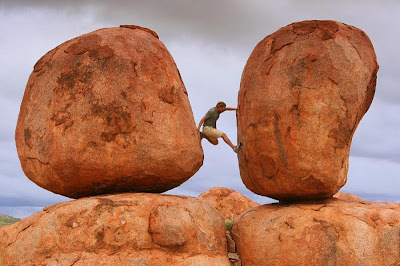 Balancing Rock, a Canadian Digby County, no less fascinating, although his height of 9 meters. 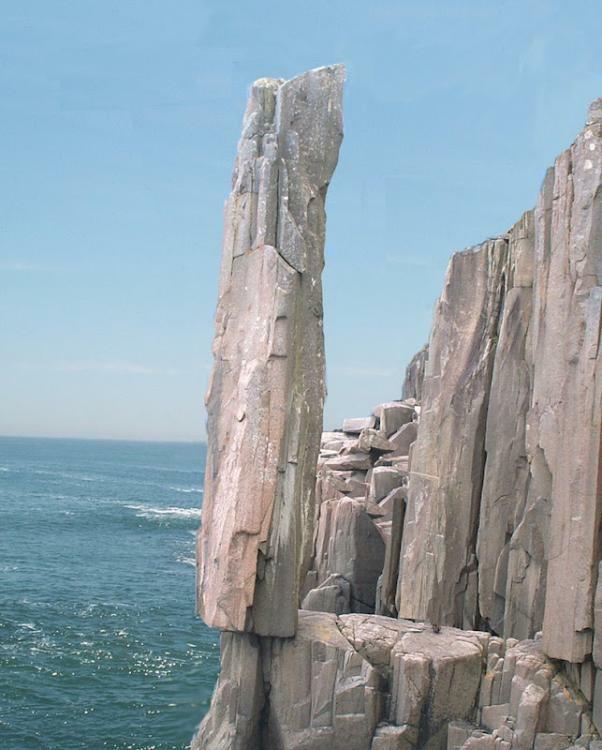 A rock-idol Brimhem Rocks, England. 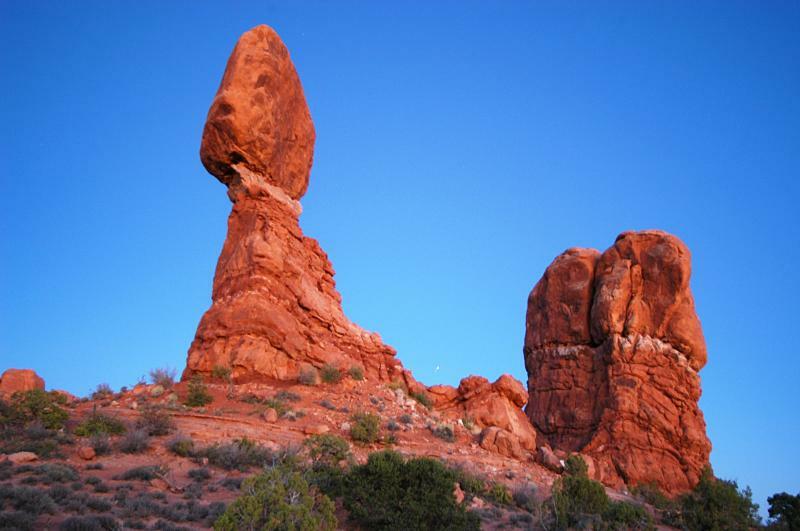 There are many boulders with intricate shapes that resemble animals. This "work" of wind, frost and water. 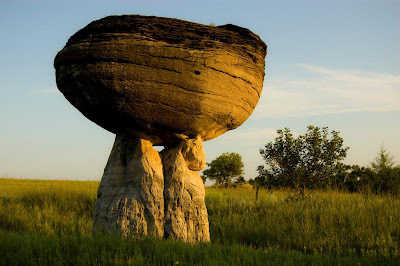 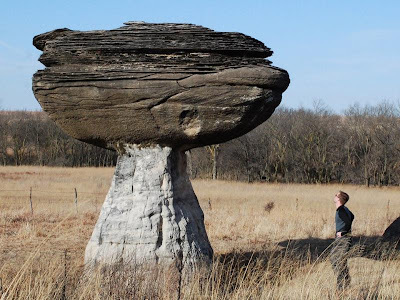 Stone mushrooms in the park «Mushroom Rock State Park», Kansas, USA. 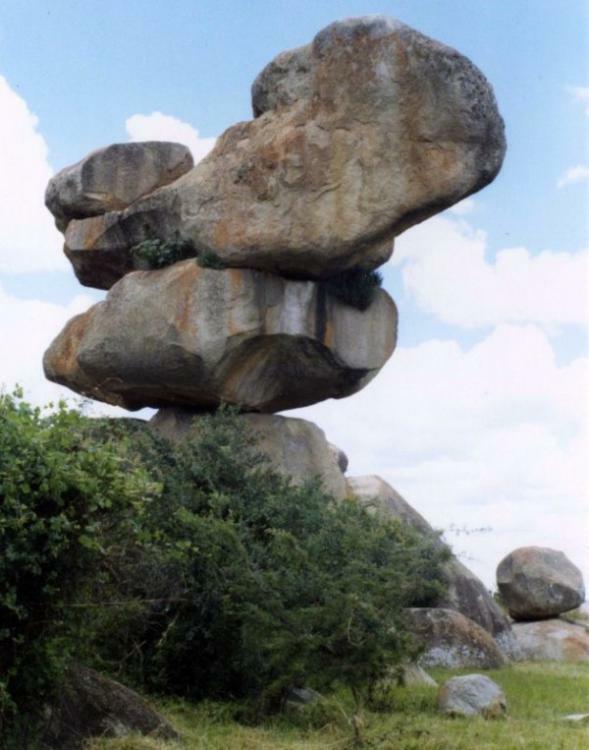 Rocks Chiremba located in Zimbabwe, near Harare. 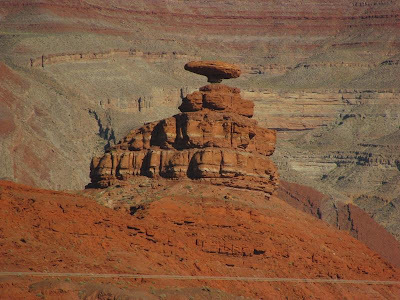 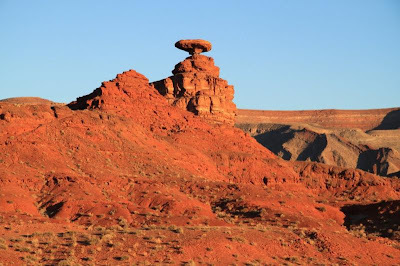 "Mexican hat" in Utah, USA. Stone Keragbolten hung between two rocks in Norway, at an altitude of 1084 meters. Golden stone in Myanmar, height of 7.6 meters, long poised over the abyss, but did not fall.